Brown sauces are simple to make once you learn the basic technique behind the preparation. These sauces can be used alone or can form the basis for other dishes. LoveToKnow Cooking has a variety of recipes to explore, which makes it easy to find a brown sauce that will work for your favorite dish. 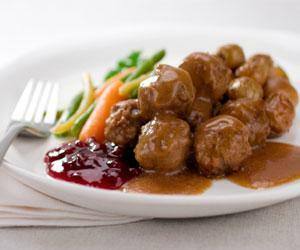 Brown sauces are commonly used for dishes such as meatloaf or steak. You are also brown sauces that contain unique ingredients which are tailored for specific types of dishes. In this category, you can expect to find a variety of brown sauce recipes that will complement many of your favorite foods. Chinese Brown Sauce: If you are looking for a marinade or a sauce to use in a stir fry, this is one to check out. Anchovy Sauce: For something different to use on pasta, give this recipe a try. Brown Mushroom Sauce: This recipe adds mushrooms to the base for a rich sauce that is ideal for meats. Espagnole Brown Sauce - This delicious sauce is used in French cooking. Country gravy - This recipe is sure to become a staple in your kitchen. Brown sauces can be used to transform basic dishes into something special, and the recipes in this category will show you just how easy making your own sauce can be. Try out a few to figure out which ones are your favorites, and you'll see why LoveToKnow Cooking should be at the top of your list for delicious brown sauce recipes.